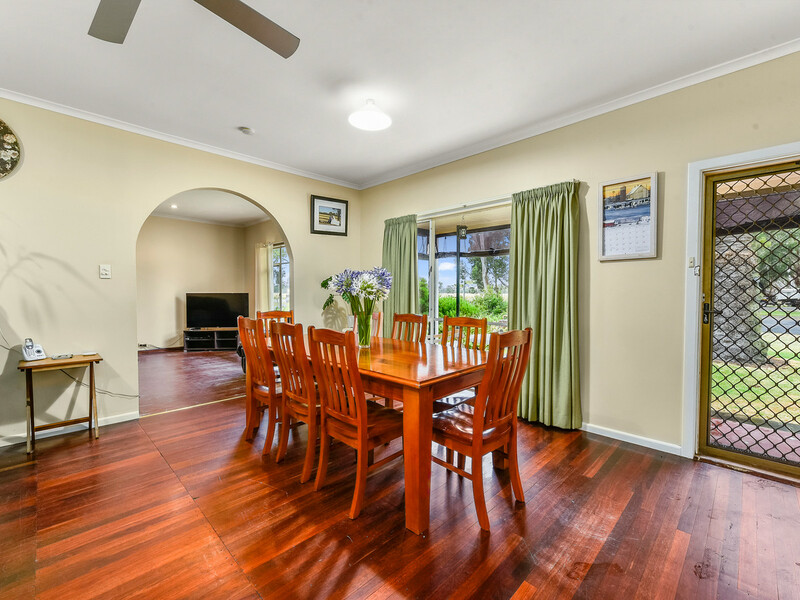 Are you ready to leave the rat race behind and embrace a country tree change? 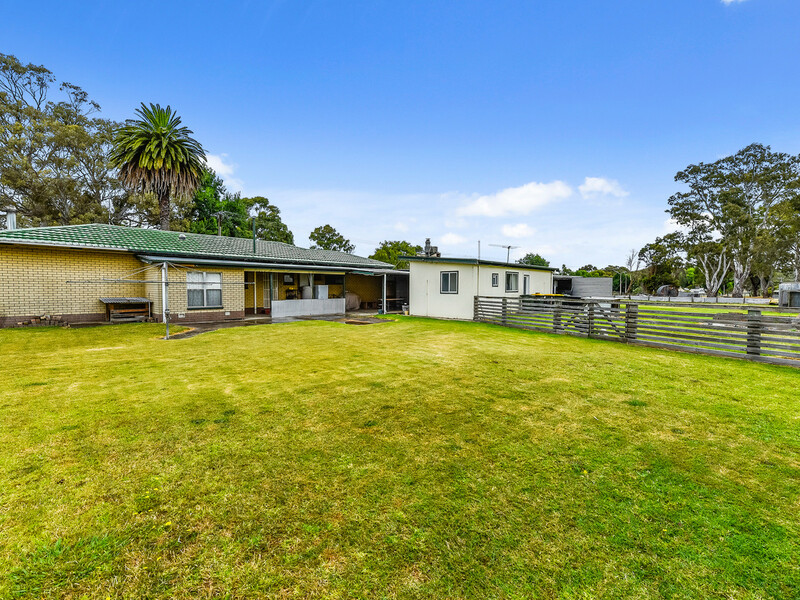 This three to four bedroom home plus granny flat on a HUGE block, containing 4 allotments, is the ideal place to do this, in the quaint township of Kalangadoo. 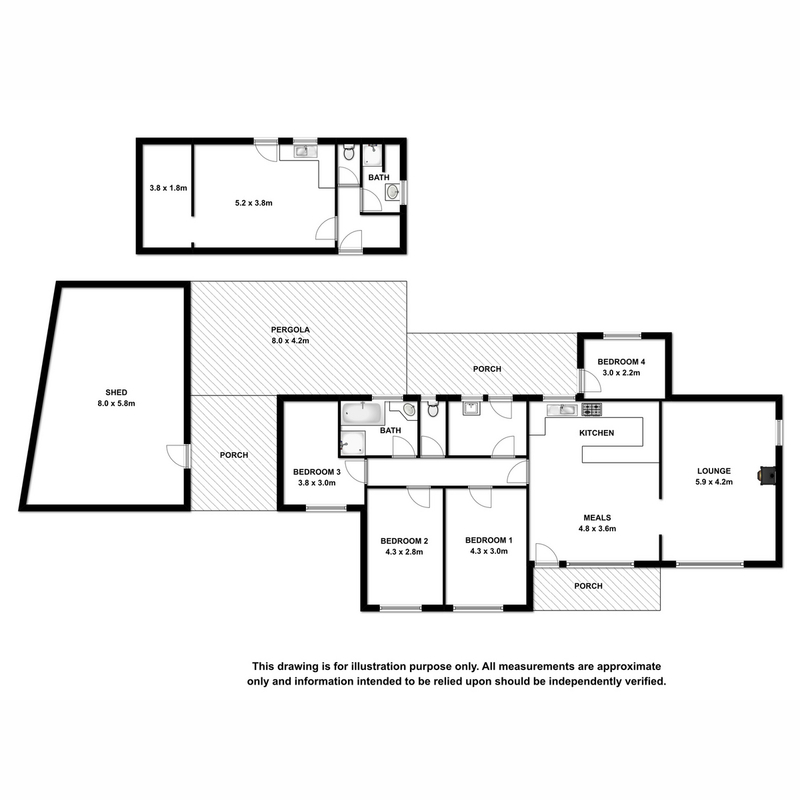 The main house contains four bedrooms or the third could be easily utilised as an office. 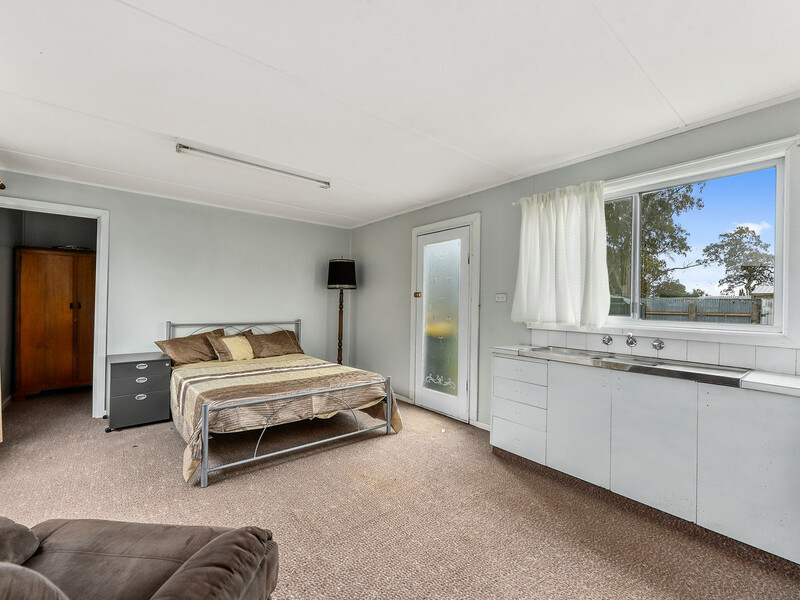 The spacious lounge room overlooks the countryside and is warmed through slow combustion heating as well as the added bonus of air conditioning. 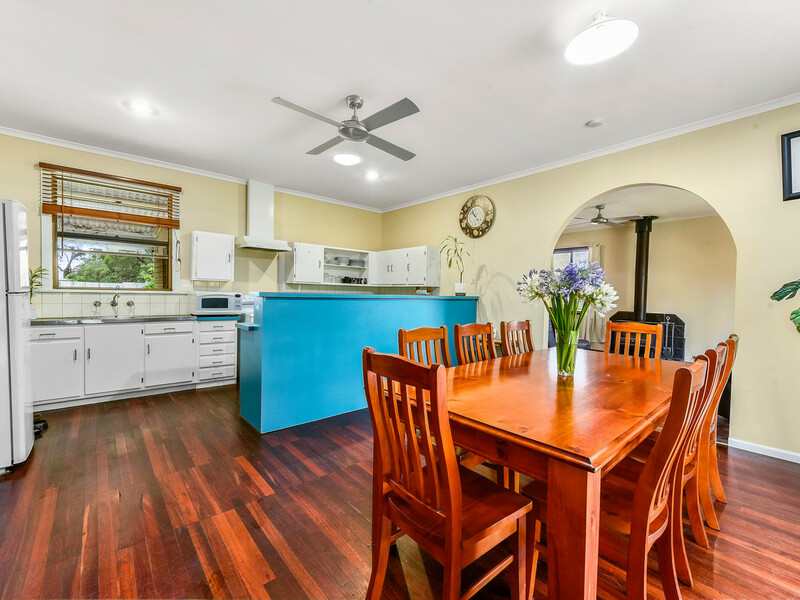 The kitchen/dining space with Jarrah floors and electric amenities is a bright open area providing plenty of room to entertain. 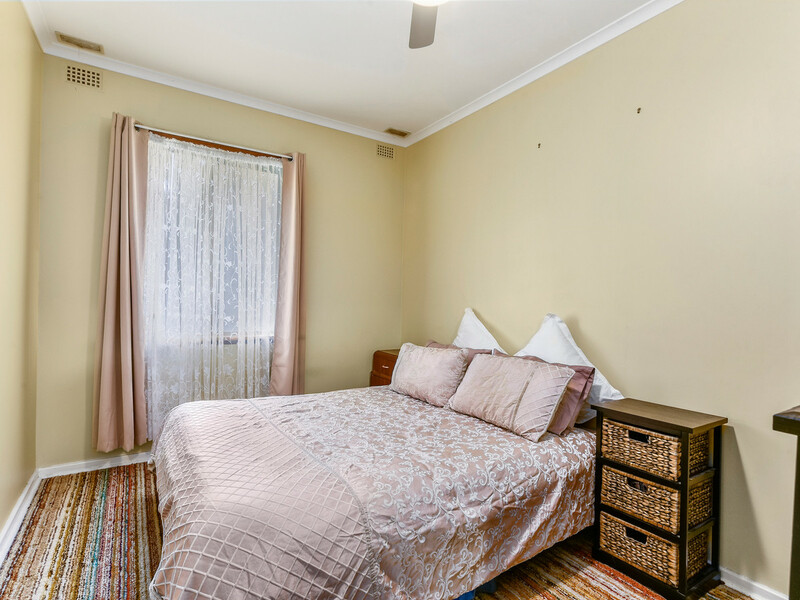 The centrally positioned bathroom contains separate bath and shower plus vanity and separate toilet. 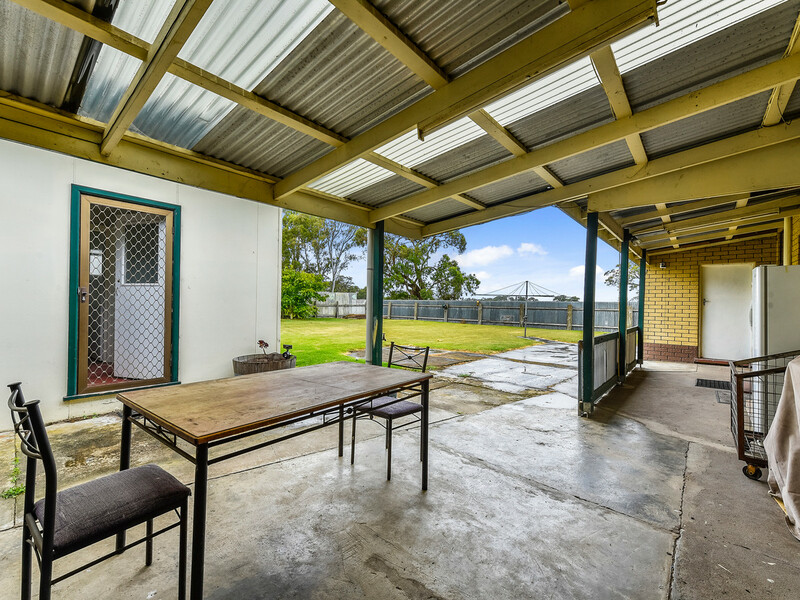 Direct access to the Granny Flat is gained through the undercover pergola area and contains 1 – 2 bedrooms or this second room would be great for storage or studying. 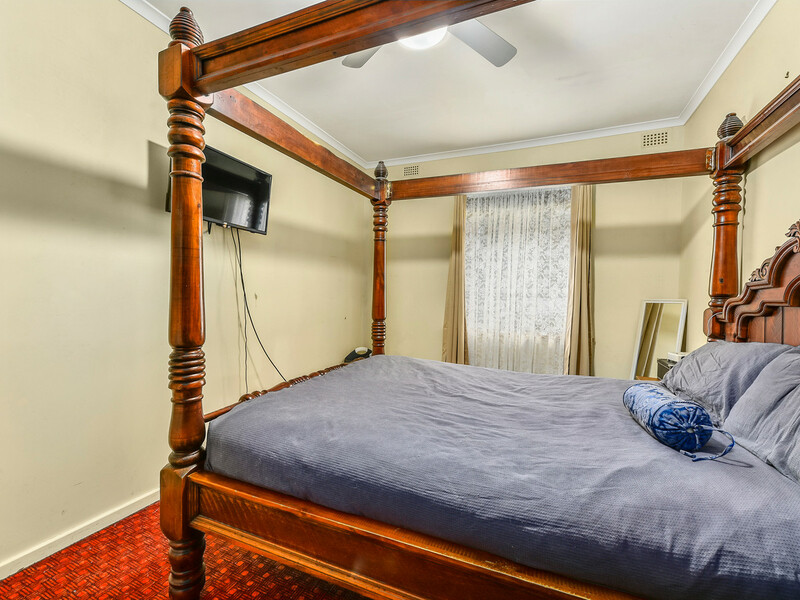 This Granny Flat would make a super teenage retreat with the benefit of shower, toilet and kitchenette. 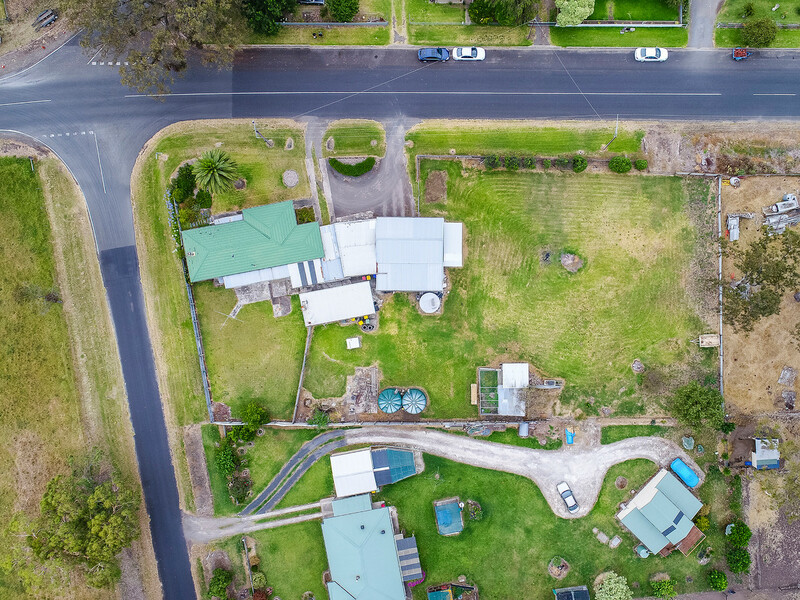 The home runs off rainwater, with access to both bore and town water – the bore waters the garden and services the toilets. 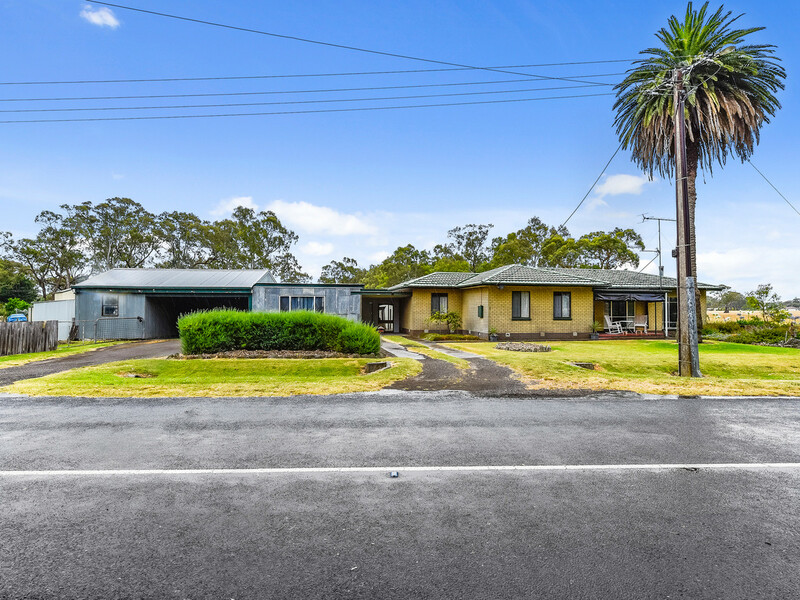 There is plenty of space for the vehicles with a double carport and the vast dimensions of the block would provide plenty of room to stow any extra vehicles. 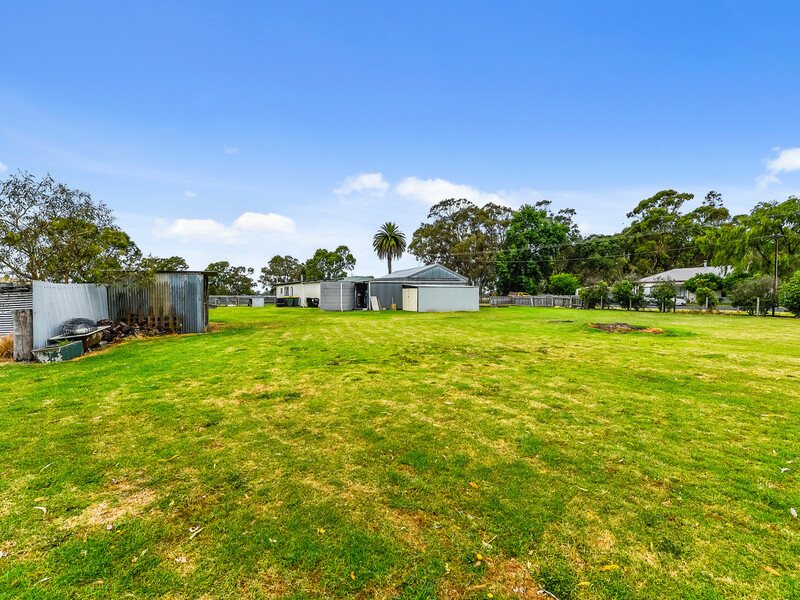 An abundance of shedding is on offer with chook shed, wood shed plus what could best be described as a terrific man cave or workshop. 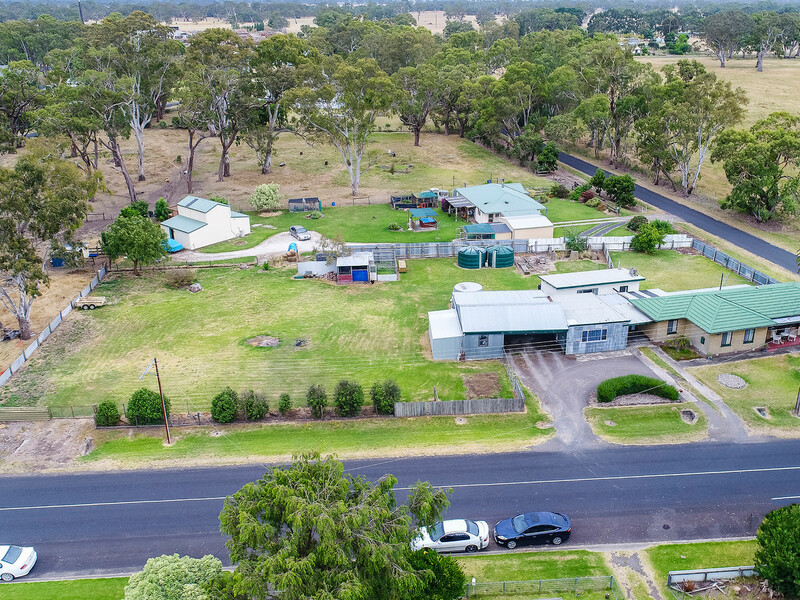 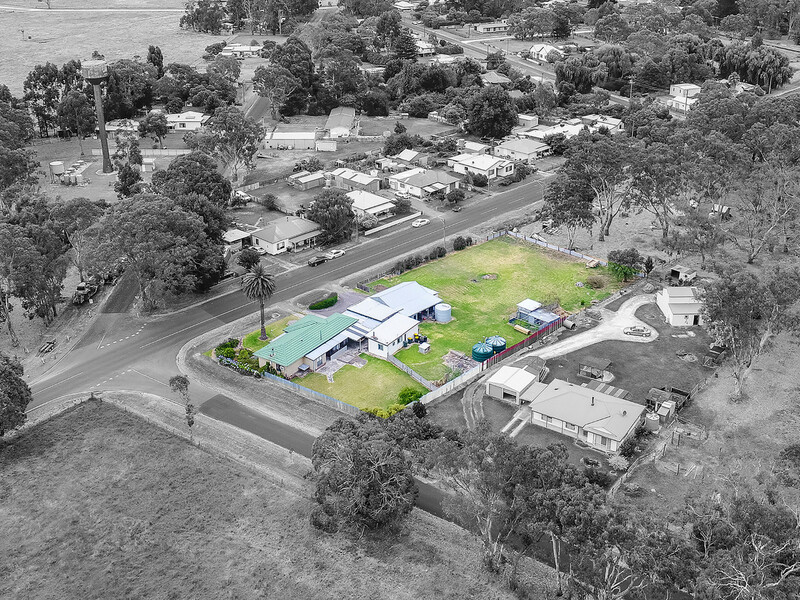 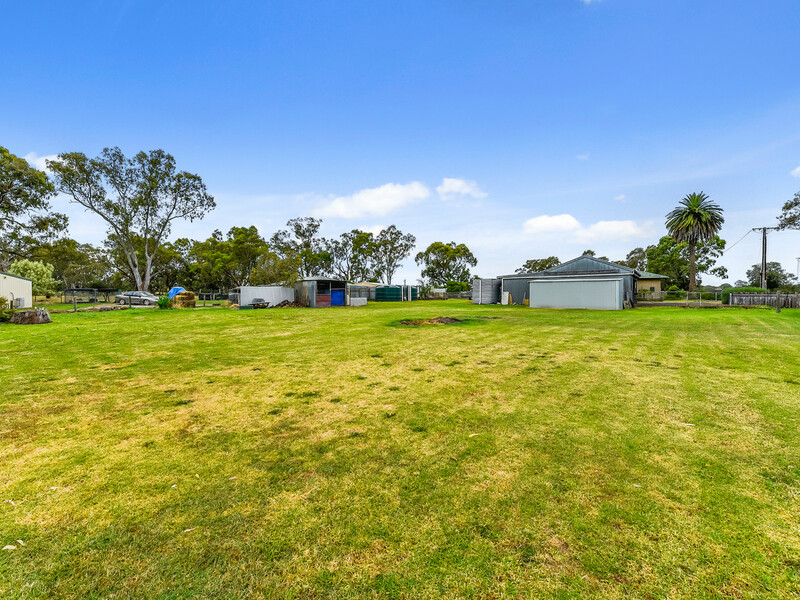 The huge block provides enough room for you to kick the footy around, ride your motorbike around or fill up with fruit trees and vegetable patches to live a self sufficient lifestyle! 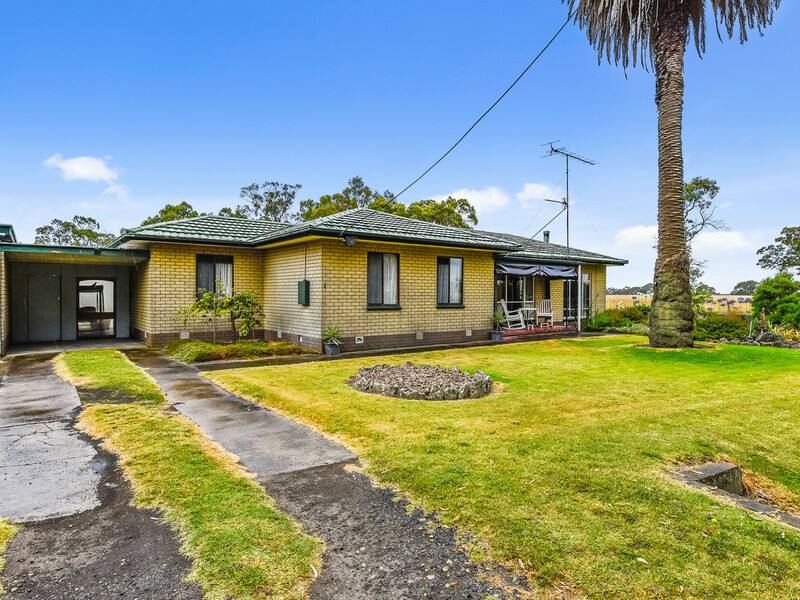 Snap this up, book your inspection today!